Please bring a chair if you want a seat for the service as there are very few benches in this area. Click here for directions to the park entrance gate. 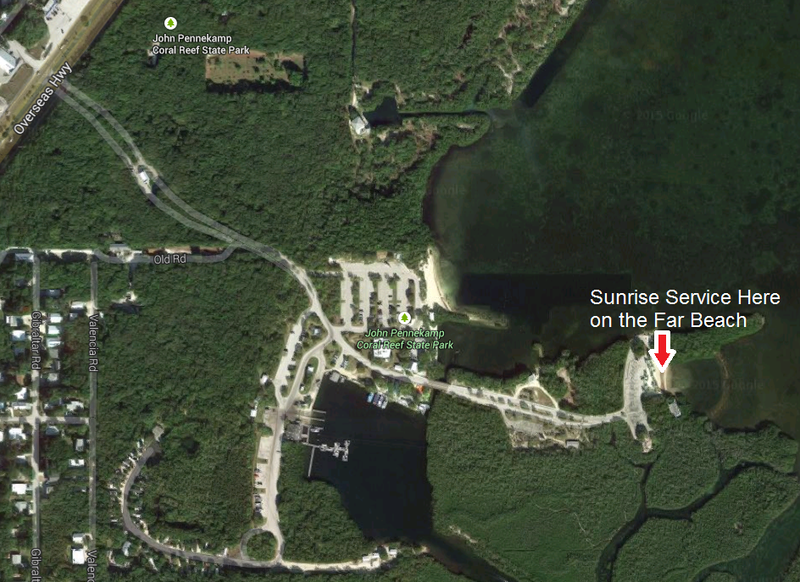 The photo map below shows the beach location inside the park. 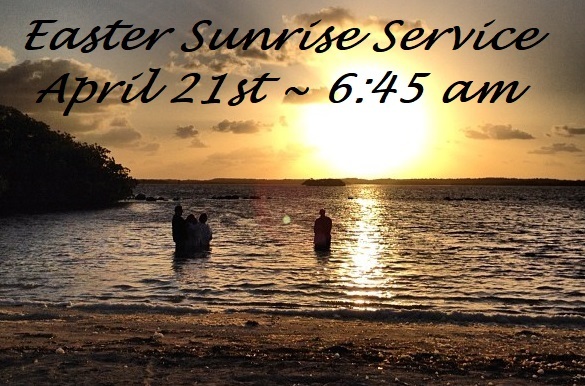 The gate opens at 6:15 and there is no admission fee to attend the service.